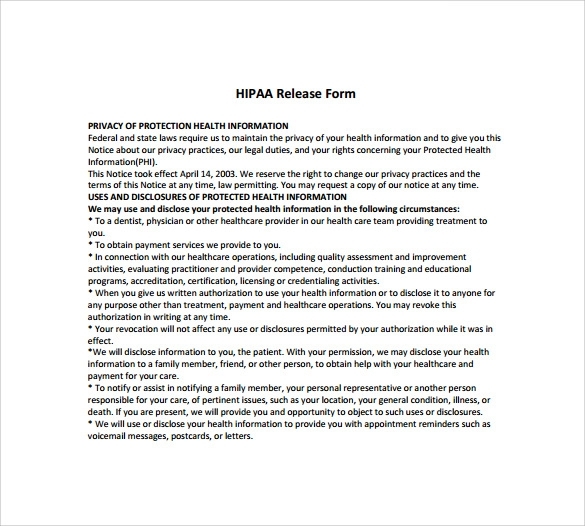 HIPAA or The Health Insurance Portability and Accountability Act, needs to protect the confidentiality of your health information. 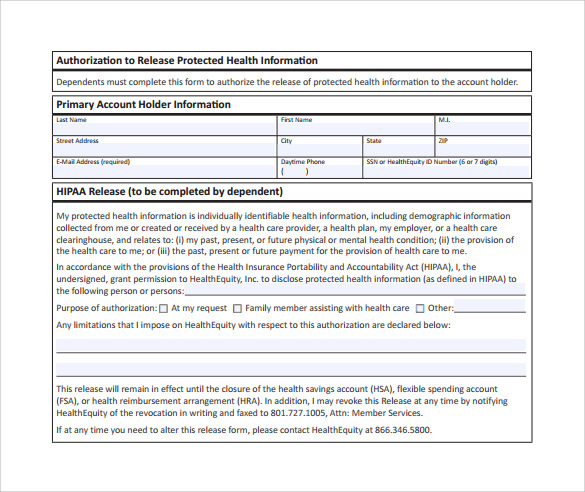 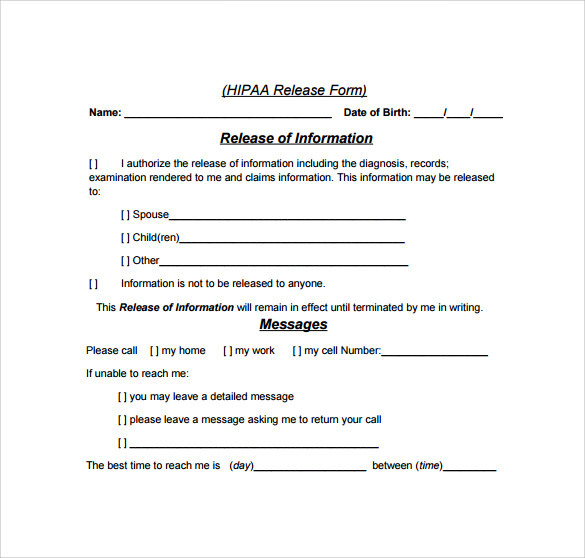 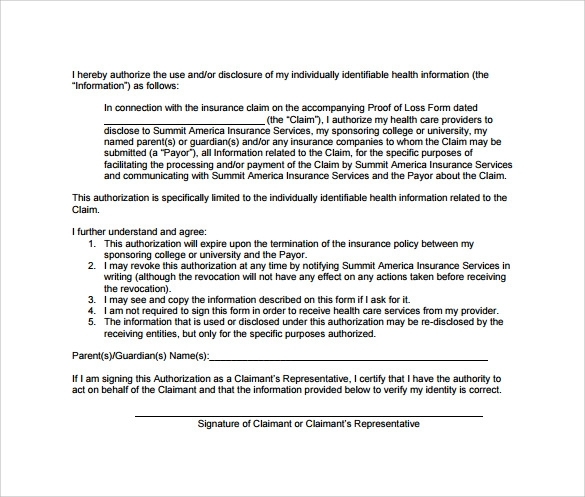 Your health care providers can’t make public any of your health related information that is known to them unless you provide a signed HIPAA release form. 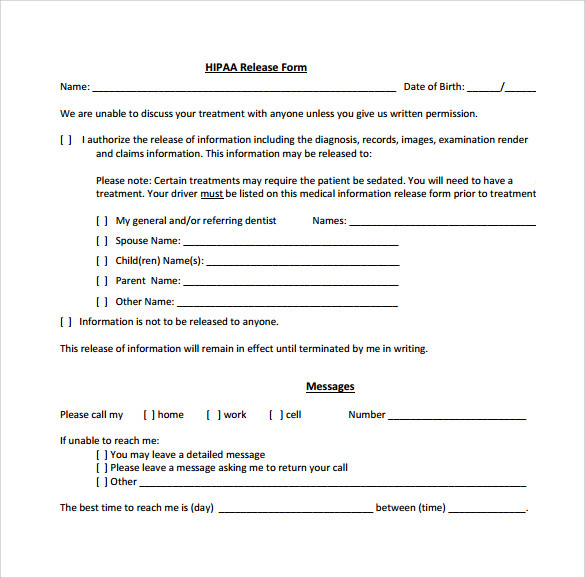 This form needs different format for different health care agents like the hospital physician or the insurance provider. 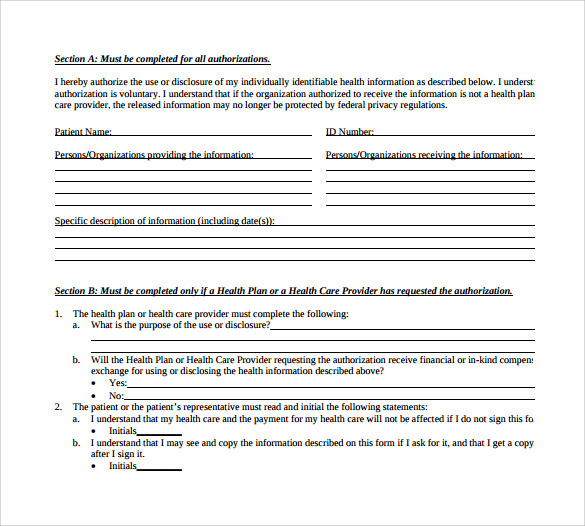 The name of the person who is undergoing any treatment, and the name of the agency, physician or organization providing the health care service should be written in full in proper places. 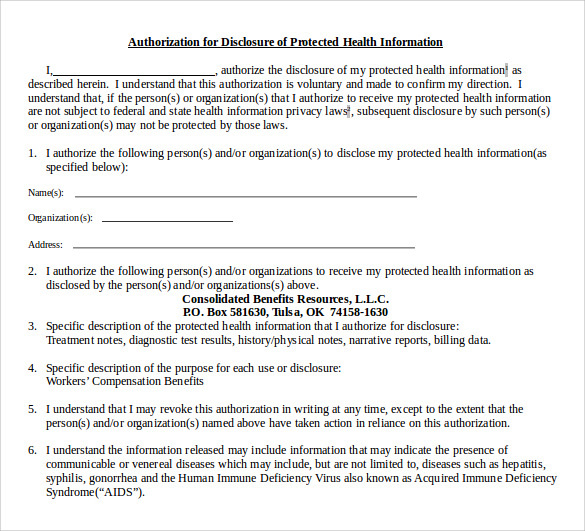 The document should also contain the exceptions when specific type of information still needs to be kept confidential. 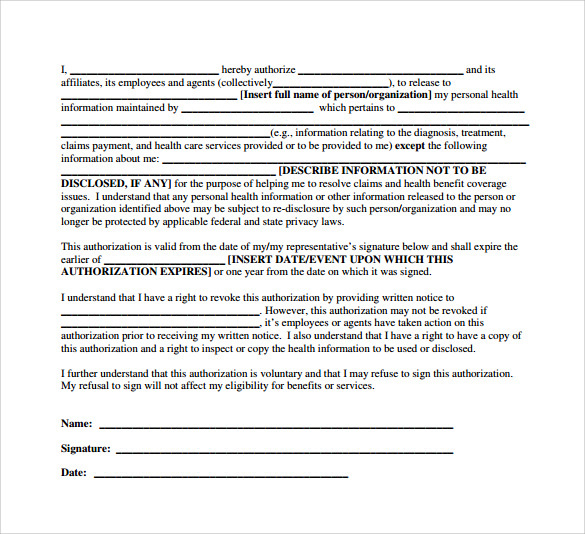 At the end of the form the member’s name, full signature and date of signing the form should come in proper order.